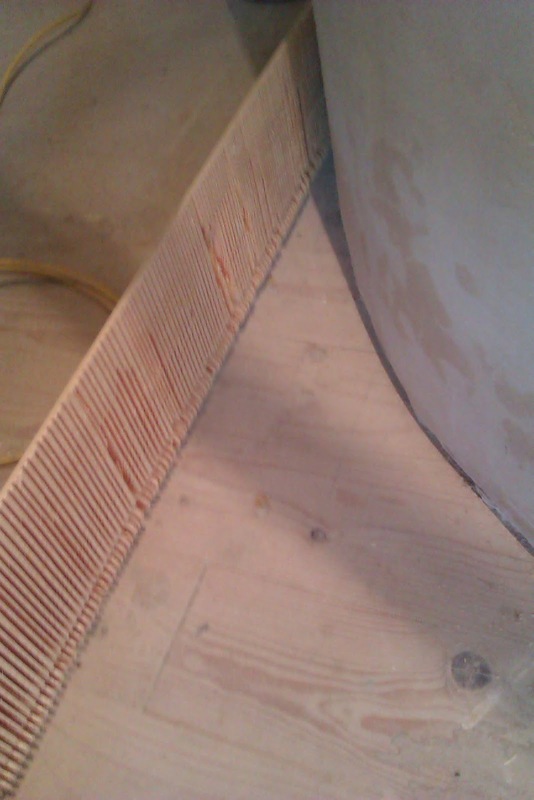 I think the disuse of plaster, in favor of wallboard has caused the loss of a lot of former skills and knowledge. I not sure whether to agree to this or not! I guess I work with more "tradional" trades anyway. The plasterer on site, Justin, can use either, this curved wall was done using plasterboard (or wallboard) so it's amazing what you can create with it, but it's a different set of skills. He's also got to render stepped details around stone work outside and then pebble dash the chimneys- no shortage of skills here I hope! It's so inspiring to see such enthusiasm on your part, your clients must be well pleased! My clients normally are, but some of the guys I work with think I shouldn't still be quite as enthusiatic as I am!